I have kicked off the year with a focus on losing weight. Put simply, I have neglected my health and fitness over a long period of time. When I reflect on how I have got myself to this point with my weight, it was not one event or one choice of a bad meal. Rather, it has accumulated over time through the neglect of my fitness, poor choices with food and inactivity generally. Not one choice, but thousands of bad choices of a long period of time. An analogy to this is to look at a run-down building or house. It does not fall down overnight. Over time, the lack of regular painting, the lack of care to cleaning, non-replacement of broken down parts and renovations all contribute to where it finds itself. A similar situation to this is an organisation that has a poor culture or does not deliver the results it expects. Poor habits, lack of discipline to the small things, lack of challenging itself to get better through focus and not measuring what’s important all contribute to non-performance. Again, this does not happen overnight but over a long period of time. Darren Hardy’s book The Compound Effect is the best book I have read that illustrates this concept. The results have been pleasing to date. The weight is coming off but what is more pleasing is my negative habits are being replaced with positive ones. I have the power to make conscious decisions around what I eat, how much I exercise and my well-being generally. So does every organisation and every individual when it comes to excellence. 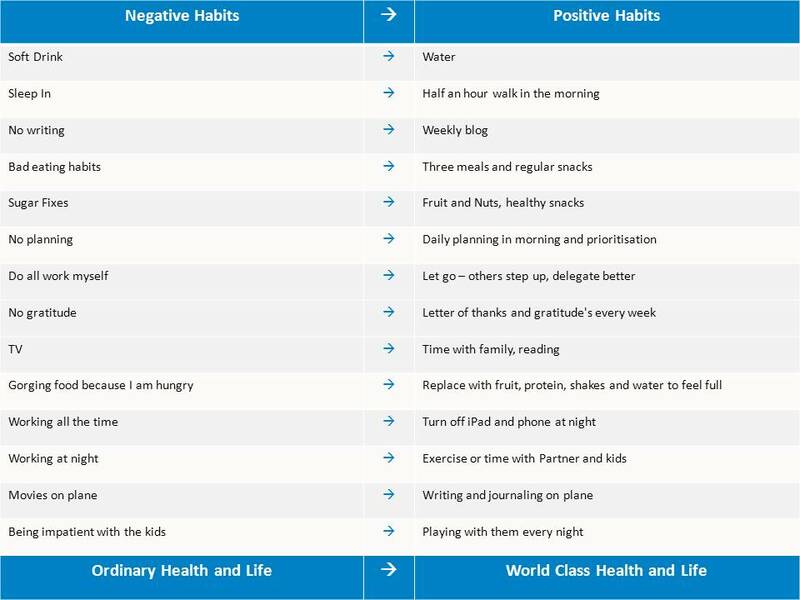 Small daily habits are powerful but they only add up to something if they are regular, positive and drive towards the goals you are looking to achieve. This requires focus and commitment but the pain of discipline is far less than the price of regret.